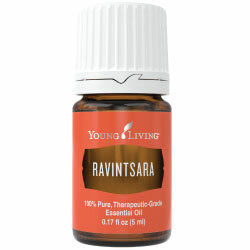 Ravensara Oil (Ravintsara Essential oil) is steam distilled from the leaves and grown in Madagascar. See information about name confusion on main website (link below). My favorite blend that contains Ravensara is ImmuPower. It contains Frankincense, Oregano, Cumin, Clove, Hyssop, Mountain Savory, Ravensara Essential Oils and more! Want more information on Ravensara Essential Oil? Keep reading below! It will tell you how to use it and what to use it for. It will also provide you with some fun suggestions, safety precautions for you and your pet! As I receive new tips and testimonials for Ravensara oil they will be added to the page, so check back frequently! Want to Purchase Therapeutic Ravensara Essential Oil? Go to the Oil Shop! Buy Ravensara Oil Here! What is the Genus Species? Cinnamomum camphora. Please note the change! Why is this information important? There are several species of Ravensara that are mostly grown in Madagascar. Botanists have now identified that most of the Madagascar oil is Ravintsara (Cinnamomum camphora), not Ravensara aromaticum. They are similar trees but Ravintsara is not an original species. It was introduced from Asia in the 19th century and adopted very efficiently to the new climate. So much so that it is a very ecologically sustainable species for sourcing, unlike Ravensara which is becoming an endangered species. Ravintsara oil tested by GC-MS reveals that 1,8-cineol eucalyptol) is the main constituent not methyl chavicol (estragole). Ravintsara oil contains over 50% eucalyptol! Also, there are oils taken from the bark which can contain up to 90% methyl chavicol. The oil from the leaf contains 48-61% 1, 8 cineole. Where is the name derived from? Ravensara comes from a Malagasy word "ravintsara". Why know about this number? ORAC stands for Oxygen Radical Absorbance Capacity. It tells you the antioxidant capacity of a food item. This was developed by the USDA researchers. For instance: Blueberries = 2,400; Clove = 1,078,700. Wow! The number for clove is NOT a typo! Did you know that Ravensara is considered the "oil that heals" by the people of Madagascar? Madagascar is the origin of the plant. What are the Plant Properties? Warming, purifying and cleansing. What is the Aromatic Affect on the Mind? Its medical yet sweet aroma is calming. What is the Spiritual Influence? Ravensara oil can clear confusion from our heart and release grief held by the lungs. It helps to let go of nervous tension and stress provoke positive feelings of hope and joy. What are the corresponding Chakra Colors? Yellow. Note about Animal Use: Certain oils can be very toxic to cats particular if they are not of therapeutic quality. Pine and citrus products in particular. Please consult your vet if you are not sure about applying any essential oil to your pet. What are the Safety Precautions? Only therapeutic grade essential oils should be used for best results. Ravensara oil does not have any known contraindications. Go to the Oil Shop! Buy Ravensara Here!